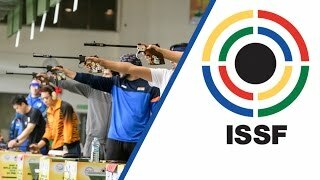 Jitu Rai brought India atop of the ISSF podium today, for the joy of the spectators following the event at the Dr. Karni Singh shooting range of New Delhi. Like he did at yesterday’s air pistol final, when he won a Bronze medal, Rai had a rough start today. After a couple of frustrating series, he had to fight on the edge not to be eliminated in 6th and 5th place. Then, gearing up, he nailed a series of 10s, climbing up the scoreboard shot after shot, coming closer to his teammate Amanpreet Singh holding the lead. After shot 20, he was more than 4 points far from the first place. Two shots later, he was just 0.3 behind Singh, whom he finally overtook at shot 23, moving atop of the scoreboard. 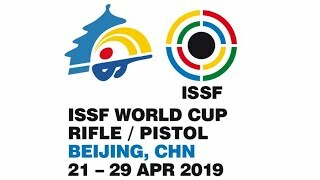 Accompanied by the excited reactions of the crowd, he fired a great 10.5 on his last shot, securing India’s first gold medal at this ISSF World Cup in New Delhi with an overall score of 230.1 points (new world record). First-time finalist Amanpreet Singh, 29, completed the triumph of the home team by claiming Silver with 226.9 points. “It’s amazing to win this gold medal here in New Delhi, during the first combined world cup held here in India, in front of my supporters. It’s a great honour and a true emotion to see the Indian flag atop of the podium,” says Rai. “I didn’t have a perfect start today, but I guess that’s the fun of the sport. I like it that way, uncertainty is part of the game, otherwise there is no excitement. I climbed into the lead shot after shot and I think it was a nice match,” Rai adds. Rai and Singh left 33-year old Vahid Golkhandan of the Islamic Republic of Iran in third place, with 208.0 points. 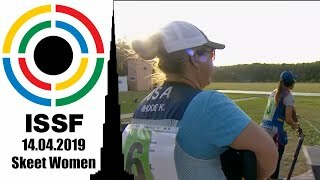 Golkhandan defended his first ISSF medal from the 2010 ISSF World Champ Matsuda Tomoyuki of Japan, 41, who closed today’s final in 4th with 188.4 points. Matsuda had won the men’s 10m Air Pistol final yesterday. Vladimir Issachenko of Kazakhstan, 34, finished the match in 5th place with 169.1 points. The best world cup placement of the 2002 Junior World Champion in this event had been a 5th place in 2012. 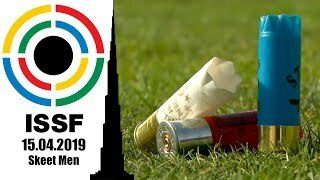 Japan’s Sonoda Yoshinobu, 34, shot a disappointing 4.6 in his first competition series that compromised his first world cup final match, and he was the first athlete to be eliminated, taking 8th place with 102.0 points. Atallah Alanazi of Saudi Arabia, 28, followed Sonoda at the next elimination, placing in 7th with 129.2 points, just 0.1 point far from the 6th place, eventually taken by 24-year old Wong Guanjie Johnathan of Malaysia with 148.7 points.